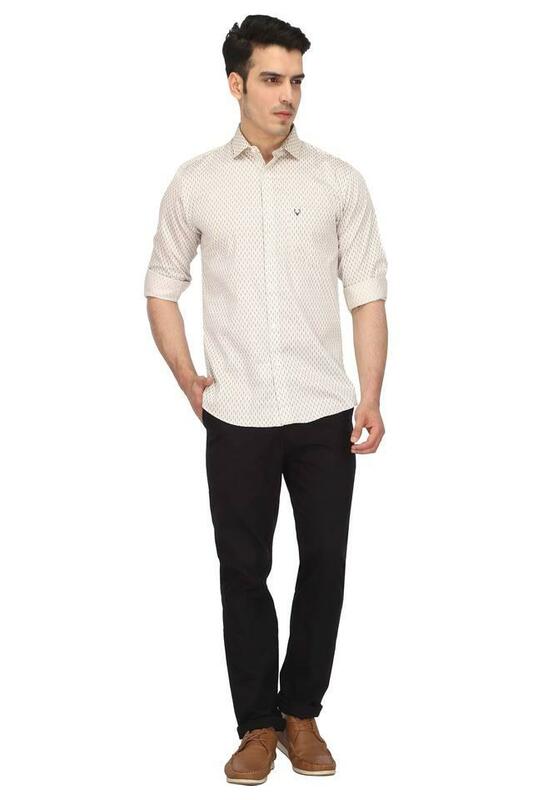 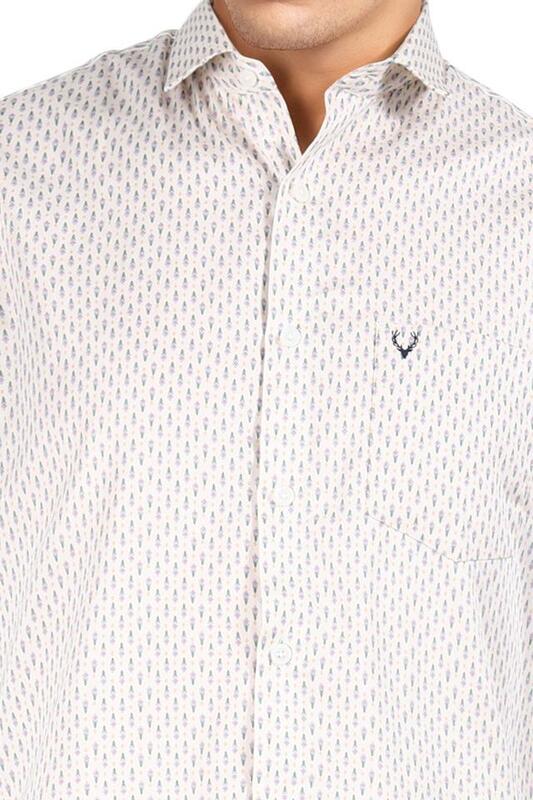 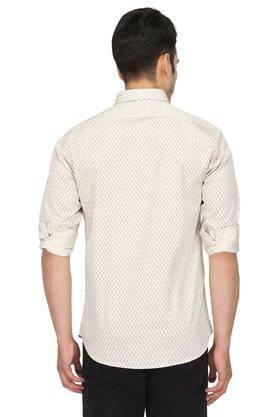 Make a charming choice for casual occasions with this shirt from Allen Solly. Made from good quality fabric, this shirt stays extremely soft against the skin. This full sleeves, printed shirt comes with a collar that offers a contemporary look. 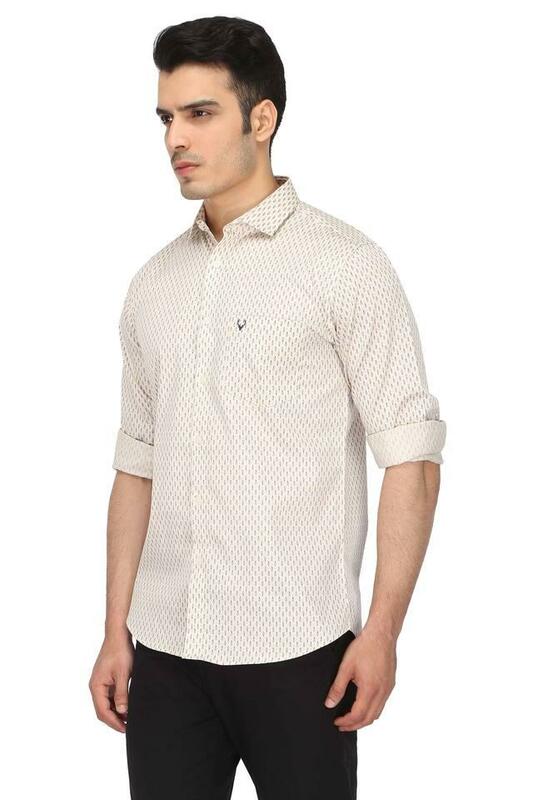 Work a little edge in your casual styling with this shirt. 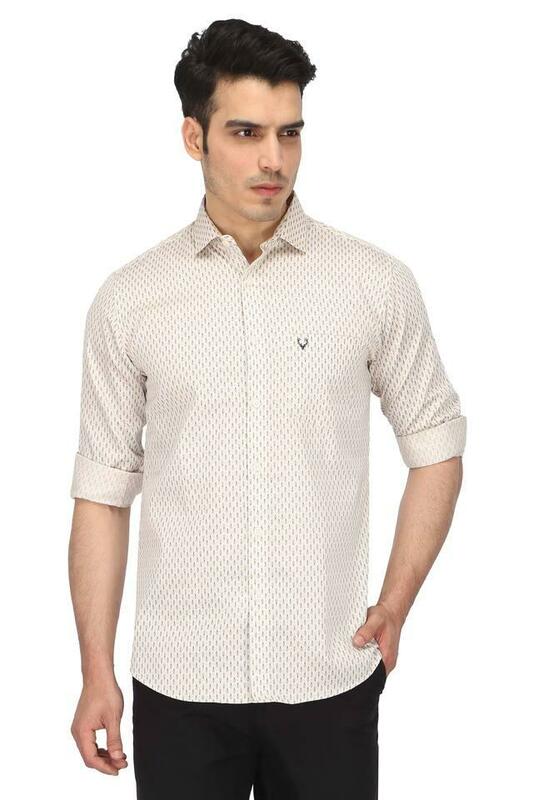 Flaunt your stylish look by layering this shirt with a pair of jeans and casual shoes.